The somewhat obscure reference to "Sharq" (Arabic for "East") is no doubt due to the conference sponsor, an organization called Al Sharq Forum, which identifies itself (falsely) as "strictly non-partisan" and claims that it "does not serve or represent any particular ideological, ethnic or sectarian agenda." Western scholars are providing a veneer of respectability to Turkey's tyrant. Al Sharq Forum is an apologist for Political Islam (its term), the Muslim Brotherhood, and the Erdogan regime, sometimes all at once. Basheer Nafi, senior associate fellow at Al Sharq Forum and a speaker at the conference, wrote that Erdogan's "secular, conservative, and democratic" AK Party "has transformed Turkey's politics and economy without undermining the secular foundations of the Turkish republic." Wadah Khanfar, the president of Al Sharq Forum, was the top executive of Al Jazeera from 2003 to 2011. Kristen Gillespie of The Nation argues that Khanfar turned the satellite news channel into "a platform for Sunni Extremists" and cites nine Al Jazeera employees who "characterize [him] as an Islamist." Any doubt that Erdogan approved of the conference is put to rest by the half-dozen regime members who spoke and numerous others who attended. One such honored speaker was Ibrahim Kalin, Erdogan's Spokesman, who received his Ph.D. from George Washington University and is a senior fellow with the Saudi-funded Prince Alwaleed Bin Talal Center for Muslim Christian Understanding at Georgetown University. Stephen Schwartz has identified Kalin as a "weaponized academic...a man close to power, and distant from truth." The most troubling aspect of the conference was the number of Western academics who participated. There were many panelists from British and German universities, as well as Americans and those trained in or representing American universities. Their participation in a conference supporting Erdogan is particularly shameful and hypocritical given that the Middle East Studies Association (MESA) and the American Association of University Professors (AAUP) have condemned Erdogan's crackdown on academics following the coup, calling it "an existential threat to independent academic freedom" (MESA) and a "violation of human rights, academic freedom and the rule of law" (AAUP). 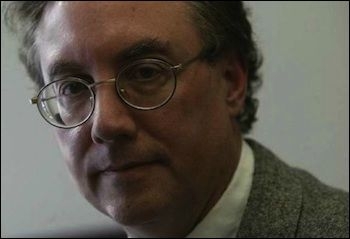 University of Michigan history professor Juan Cole, a leading Islamism apologist, attended the conference. The most prominent American academic to attend the conference was Juan Cole of the University of Michigan. One of the preeminent tenured apologists for Islam, Cole is a great equivocator, always ready with an analogy of Western misconduct to downplay and offset Islamic wrongdoing. His go-to response is to blame Orientalism for all the Muslim world's ills. Like others on the left, he finds white supremacists both more dangerous and more numerous than jihadists. Cole argues that "the phrase 'Islamic terrorism'...is a linguistic trap intended to make us all Islamophobes," and he is fond of blaming the weapons that jihadists use rather than the jihadists themselves. He must have been somewhat confused with all the positive talk of democracy since, as Alan Jacobs points out, he is a "critic of democracy" and an "apologist for tyranny." In the end, he must have reckoned that the scales evened out. Cemil Aydin of UNC Chapel Hill, who has a Harvard Ph.D., also attended. His willingness to participate should come as no surprise since he holds the IIIT Chair in Islamic Studies at George Mason University. The International Institute of Islamic Thought (IIIT) is a Muslim Brotherhood organization and is listed as such in the Brotherhood's 1991 Explanatory Memorandum. Needless to say, it does not fund non-Islamists. Another attendee, Dimitar Bechev, is a fellow at Al Sharq Forum whose work appears in Al Jazeera. Bechev is also a visiting scholar at Harvard's Center for European Studies. Sylke Tempel, a visiting professor at Stanford University, was also present. By attending the Muslim Brotherhood-Al Jazeera-Erdogan regime conference, Western scholars – especially Americans and those educated by or teaching in American institutions – provide a veneer of respectability to a tyrant. Doubtless their motives vary. Some are committed members of the "Leftist-Islamist alliance," positioning themselves to be the Juan Coles and Wadah Khanfars of tomorrow; others were probably seeking sponsors. Whatever their reasons, they bring dishonor to their profession and the institutions they represent.